Grant Oster notified me of this, although I am not sure how new this feature is exactly. 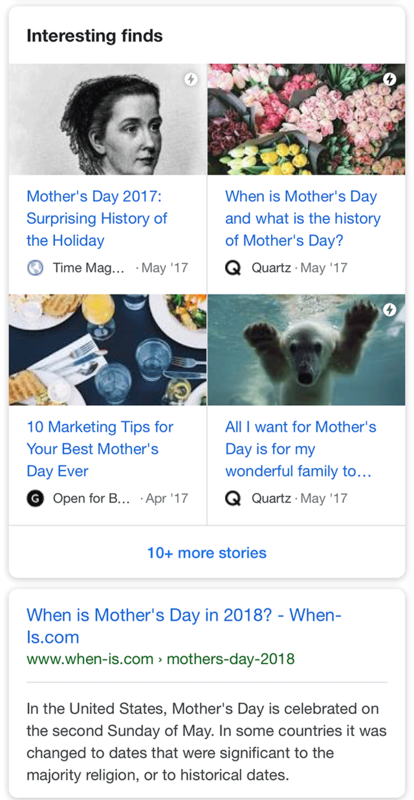 Those are AMP pages, with top carousel markup, so the images look good and the content loads fast on click. It does look like not all of those results are powered by AMP, such as the bottom left one. But it does seem most are, which is why there are AMP icons on three of the four results. I do not see this on the desktop search results, I only see them on mobile.